Almost every company passing through this place has more or less negroes [sic.] in it armed and in the ranks. I find public sentiment unmistakably in favor of drafting 100,000 negroes into the army if the war continues over this summer. Combined with the white men in this climate and under proper regulations, they may be made an efficient body in this war of self-defence. If we do not have peace by the 1st of June, a call will be made to arm a portion of of the blacks to be drafted chiefly from the large plantations. The British armed them on many occasions, and it was the [ad?] that gave the British such superiority over the French in the last war. So how should the historian handle this document? How much credence should be put to it? Are there any hard data in this short passage? “Almost every company” equates to how many, exactly? “More or less” means, what? What companies are these? Who are the officers? Can these claims be corroborated somewhere? And that’s just the first sentence. Looking at the whole passage, what’s its purpose? Why was it written and published? Why is it offered anonymously? What other events were going on just then that might have influenced the writer? Is the writer’s intent to report the composition of Texas military units, or to make a case for something else? Is this reporting, or advocacy? If the latter, does that cause concern about the accuracy of the description of black troops “armed and in the ranks?” Does it play to any particular beliefs or biases in the reader? Can any larger conclusions about BCS be drawn from this single document? I’m not a Greek scholar, but I’m pretty sure that the word “historia” means “to enquire” or to ask questions; since there are only three things important to the historian – context, context and context – my participation will be generally limited to asking more questions. One: The date: April 29th 1862. The Confederacy has just suffered the defeat at Shiloh – and Farragut has taken New Orleans. Is the letter writer likely to have known these facts before penning the letter? Two: Is anonymity desired (ie; sought by the writer for reasons unknown) or a standard practice of the Galveston Weekly News? it was a common practice in 19th Century journalism to offer anonymity. Three: Where is Navasota and why are companies passing through it? To what battles are they heading – or returning from? Do they bring news of victories – or defeats? Four: The Union’s strategy was to split the Confederacy – something a Confederate Texan would be fearful of. While the fall of Vicksburg was still a year away, the loss of Fort Henry and Fort Donelson, and the fall of New Orleans, would make such a split imminent. Where are the Texas Troops fighting? In defence of Texas – or with Lee in the East? I’m tempted to see this as an early sign of panic – but don’t want to read too much into it. Five: The writer’s reference to the British (I suspect “ad” should be read as “advantage”) enlisting African-American troops ignores the fact that the British also freed them – is this deliberate on his part (the idea being too provocative) or does he really believe 100,000 plantation slaves will obey their orders once you’ve armed them? 1. The date of the original letter is unknown, but unless it was very stale by the time it was published, it’s likely that the writer knew of Shiloh (April 6-7) and Farragut’s intent to move up the Mississippi and take New Orleans (bombardment of Forts Jackson and t. Phillip, April 18-23). News traveled faster in those days than we often credit; I’ve seen issues of the New York Times from the war period that list ships arriving in San Fransisco the previous day; a dead-tree newspaper today couldn’t do it any faster. 2. Yes, anonymity (or writing under a pseudonym) was very common. See the editorial by “Scipio Africanus” in the same paper. Don’t know i this case if anonymity was requested by the original writer, or just done as standard practice. 3. Navasota is a small cotton town about 60 miles NW of Houston. 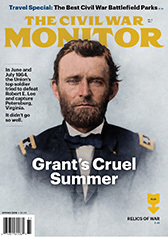 Important for this analysis (and I should have mentioned), during the war it was near the northern terminus of the Houston & Texas Central Railroad, which made it a waypoint for newly-raised Confederate units raised in north-central Texas on their way to the major theaters of the war. 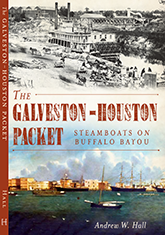 In the spring of 1862 there were no immediate threats to Texas, so troops moving through Navasota would mostly have been on the first leg of a journey to other areas — the Army of Northern Virginia, or perhaps the Western theater in Tennessee. Thanks again for posting. These questions are the sort that historians have to ask to understand the document in the context of its time and place. One aspect of this open letter in the paper that, I believe, is critical to understanding its content is that most CSA officers and some foot soldiers had their slaves along with them to perform menial work and aid the master in all non-military ways. The fact that the slaves carried their master’s heavy rifle is not very surprising for a number of reasons: first, the weapon wasn’t loaded (always the norm even for white soldiers while marching), it took training to load and shoot, it took a bit of time to do that, these weapons (for the south and esp. early in the war) were single shot so it was useless to use if surrounded by an armed troop, and finally, I doubt they were allowed to carry either the powder or bullets with the rifle. The writer more than likely didn’t understand this and since they often saw a few slaves in most companies (esp. early in the war) and these slaves were more often than not carrying rifles, ipso-facto the writer incorrectly concludes that these slaves were combat troops and part of the unit. This conclusion is highly unlikely since no one in the Union ever noticed and wrote letters about “every confederate company had fighting blacks”. 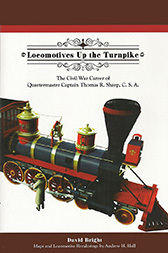 More to the point, many, many Southerns went ballistic when very late in the war and with the South desperate for manpower, anyone who seriously suggested blacks forming combat companies, was quickly shot down (pun intended) and were are the outraged reporters writing stories of slaves being armed and fighting? No, there is nearly zero chance any blacks (even free ones) ever fought in the war for the south. I’m not aware of any fully INTERGRATED companies ever existed even in Northern units but to have this occur in southern units is ludicrous. Dennis, thanks for your comment. So assume now you’re at the library, going through reels of old newspapers on microfilm looking for something else, and come across this item by happenstance. How do you file this document, figuratively speaking, in the debate on BCS? What’s your one-line assessment of it? Single line would be: Southern writer on the scene, unfamiliar with Southern military protocol, mistakenly claims slaves are actually Southern soldiers. Well Dennis, it’s obvious you have no formal training in History – you summed up a document in one line. Now a real Historian would have written a lengthy and impenetrable thesis -used it to get tenure – then spun it off into a book deal and a recurring gig on PBS or – here in Canada – the CBC. Hope this helps….. The call for blacks to be recruited comes on the heels of Confederate conscription, which had its own draft exemptions. Having a handful of blacks in each company (in the usual capacity of servant/cook/teamster) is different than having a company of armed African American infantrymen in gray. Where would one deploy that company? So, readers — how might that earlier proposal calling for the conscription of slaves as soldiers be connected to the newly-passed Confederate Conscription Act, and does that suggest anything about the writers’ claims about the troops he saw? Am I the only one who sensed some (class?) hostility in the remark about the conscripts coming “chiefly from the large plantations”? Were plantation owners exempt – or able to somehow dodge conscription by hiring replacements? I see a similarity here with Labour’s opposition to Conscription in WW1 – until you are willing to conscript wealth to the cause, then you should not conscript lives. 100,000 slaves from the plantations would certainly be a conscription of wealth. The original Conscription Act did not exempt large slaveholders, but subsequent amendment that autumn did, exempting men in a variety of jobs deems essential to the war effort, and slaveholders with 20 or more slaves. One other element to consider is that in Texas, very large plantations were rare, as were very large slaveholders. In Texas in 1860, only one-quarter of one percent of all slaveholders owned 100 or more slaves (54 out of 21,878); in Mississippi, the proportion was 1%, and in South Carolina, 1.7%. The average number of slaves per slaveholder was 8.3 in Texas, 14.1 in Mississippi, and 15.1 in South Carolina. By British, it probably refers to the British using black soldiers in its imperial holdings; the West Indies, and Indian soldiers(sepoys) etc. It’s an interesting argument for the writer to make, given that it might also cause the reader to recall that French fortune in the West Indies were significantly complicated by the slave insurrection in Haiti. I don’t think this is correct – but I can’t give you a compelling reason why. It all depends on what the writer meant by “the last war”. As near as I can tell, the last significant Anglo-English conflict was the Napoleonic Wars. Or does he mean the War of 1812? Would a writer in 1862 lump the two together – or be ignorant of the differences? Very interesting. Apparently there were several reports of blacks with arms in Confederate troop marches. One assumption you might make is that these were slaves, AND that they were slaves that have been told the truth and knew the truth. Do you think the blacks were told this? No — I don’t think they were told that. They weren’t told what Davis said, what southern Ultimatums said. It’s hard to know what they were told. But Southern apologist have not TO THIS DAY admitted what their own leaders shouted from the roof tops at the time. Has anyone told you about the Southern Ultimatums? Has anyone told you the Southern leaders bragged about their ultimatums to spread slavery? No. So if this embarrasing horrible stuff is kept under the rug even now, do you think they explained it to blacks then? Hard to know what BS they were told, hard to know if these blacks that were apparently armed were thinking. Were they the blacks that helped master torture other blacks? You do know who did much of the whipping of blacks, dont you? Other blacks. Whites picked certain blacks, giving them “favors” and status. who then helped the master enforce terror and pain to keep the others in line. Could these black men with arms be such men? But as to any notioni that blacks were in the regular southern army is absurd nonsense when you read Jefferson Davis own broadside about the matter. 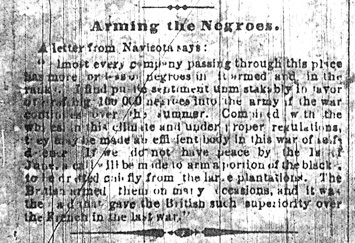 See Jeff Davis broadside of Jan 5 1863, where he has a fit about black troops Lincoln threatened to use. Because Lincoln spoke about using blacks, this denegrated the entire war, this was an abomination without equal in the annals of war. USE BLACKS? Oh the guy just went stark raving mad about it – promising all kinds of horrible things to the North as a result. Because Lincoln was going to use blacks in the US Army, Davis promised to invade the North and make slaves of all the blacks there! Go read Davis broadside, to say he was mad about blacks in the Union army is the understatement of the War. Mark, thanks for taking time to comment. You’re asking some valid questions here, but you’re operating with big, rhetorical questions — you’re looking down from 50,000 feet, but what I want us to do is stay right down in the weeds — focus on this specific document, its limitations and inferences. Could this a reference to people in the ranks passing for white? 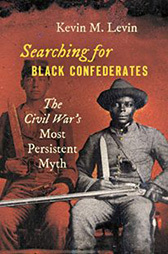 ‘why aren’t we conscripting blacks if a few are already getting in on the sly?’ This seems to point to a problem of identity that the Confederacy never really addressed. Not surprised to see it come up in the context of a draft, if I’m right. That’s an interesting idea, but it’s important to remember that African Americans “passing” means not being recognized as being black or mixed-race — it’s not just a matter of being light-skinned. If a man was “passing,” an outside observer wouldn’t have recognized it as such. There are a number of cases of men “passing” to enlist in the Confederate army, mostly early in the war, and then being discharged when they were found out. It’s analogous to the women who disguised themselves as men to enlist — once they were discovered, they were gone. I find this point really fascinating. Never thought of it but some “blacks” that had been passing for “white” and living in the South (as “white”) and identifying as a Southerner so they join up as a soldier for the CSA is something that makes a lot of sense. You really need to expand on this and flesh it out! That would be VERY interesting because there is so much complex and deep cross-currents and self identity issues and so much more! The conflict issues alone would be worth a book, almost. Then for these people to be “found out” and dismissed from service – even after many battles and possibly heroic service – amazing. If you have any more details on this subject I’d love to learn more. The issues of race and class within the South, and how they manifested themselves in the context of the Confederate army in the field, are hugely complex. It’s very easy to fall into grossly-simplistic stereotypes — the abused slave forced to act solely by threat and coercion on the one hand, the “happy slave” patriotically defending hearth and home on the other — that simply don’t do full justice to the subject. There’s a neat book called African Americans and the Gettysburg Campaign by James M. Paradis that gives a fairly detailed account of one Charles Lutz, a light-skinned man from Louisiana who “passed” and served through much of the war with the 8th Louisiana Infantry. Lutz was captured in May 1863, but paroled in time to rejoin his regiment o the Pennsylvania campaign. He was severely wounded at Gettysburg, and left behind with the other wounded. He was captured, paroled, and eventually discharged, and in 1900 eventually received a pension for his service. As I said, this is all very complicated stuff, and the advocates of the BCS meme don’t help their credibility by making grand claims based on rare examples like Lutz or Auguste, who were artifacts of a very distinct culture-within-a-culture, men whose experiences were probably as far removed from that of the typical African American man in the South as our own today is. The rules on race were not quite as rigid as some would have us believe. …was whatever the A&IGO and enrolling officers of the local military department allowed. At least initially. But official CS policy still rejected it, and Louisiana, with its very complex take on race, class and a large population of free blacks, remains fairly unique in this regard, as well. It’s a mistake to take examples like Lutz and Auguste and extrapolate them out to the Confederacy as a whole. But the fundamental mistake is to assume the whites OR the black men were told the truth. Do you think these men were told that their own leaders said the war was about spreading slavery AGAINST the will of the states? It’s hard to know what they were told, but you can be sure whatever blacks were told there were NOT told that the Confederate leaders were saying the war was to spread slavery — like Davis said, in hopes of making slavery nation wide, North and South, forever. They tortured, sold, raped, and terrorized blacks. Do you think they would NOT lie to them ? I’ll probably blog about it later, but I’m just now pitching in to Andrew Ward’s The Slaves’ War: The Civil War in the Words of Former Slaves, and the early part of the book goes into considerable detail about slaveowners’ efforts to both restrict war news from their bondsmen, and to spread quite ridiculous propaganda about the true nature of the dreaded Yankee — literally that they had horns and tails, in some cases. For their part, the slaves had developed a remarkably efficient system of collecting and relaying information among themselves — eavesdropping, rote memorization, stealing newspapers to pass along to slaves who could read, and so on — that stood to counter slaveowners’ efforts somewhat. But still they were at a huge disadvantage, and (of course) mostly lacked the agency to act in any case. Many slaves noted that, with the coming of the war, their owners responded by restricting previous privileges taken for granted, and imposing far more harsh discipline for minor infractions, all in an attempt to dissuade even minor disruptions from their slaves.